When Yamaha came out with the Rhino back in 2004, they launched an entirely new revolution in the powersports off-road world and for 2016 they have come out swinging with the all new Wolverine. 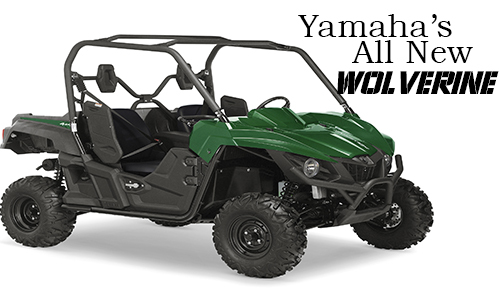 Designed specifically for the off-road enthusiast, the Wolverine features an aggressive, compact look and provides the best blend of suspension, handling, drivetrain and chassis components working together to give drivers the ability to conqueror all terrain with confidence and comfort. The Wolverine features a spacious driver/passenger cabin area with dedicated headrests, 3-point seat belts, roomy floorboards and an adjustable passenger handhold. Power is provided by a new advanced 700-class engine with dual overhead cams and fuel injection. The 708cc power plant was designed to deliver smooth linear power that can tackle both open trails and technical terrain. To transfer the power to the ground, Yamaha has mated the power plant to their proven Ultramafic CVT transmission and utilizes their tough On-Command four wheel drive system. The front wide-arc A-arms and full-length skid plates ensure the durability of the Wolverines suspension and undercarriage and the 5-way adjustable preload shocks are capable of handling varying loads. 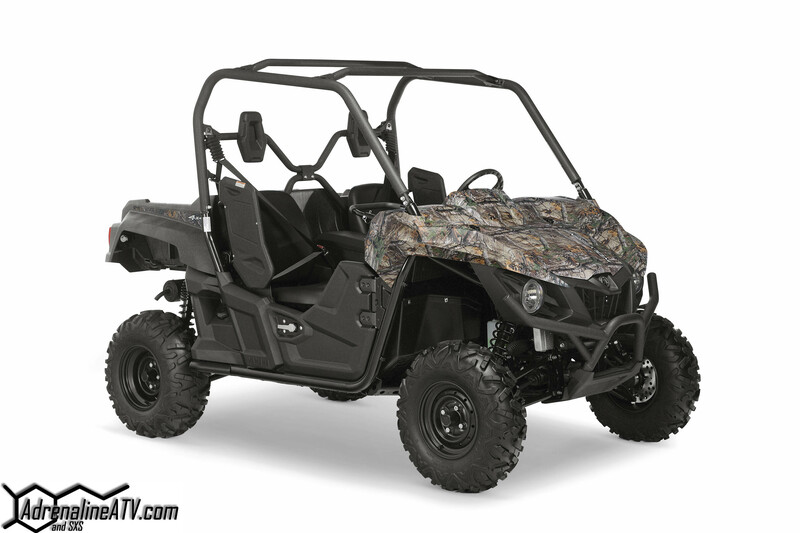 Available in Hunter Green and Realtree® Xtra® Camo bodywork, be sure to visit your local Yamaha dealer to check one out or visit their website at www.yamahaoutdoors.com.